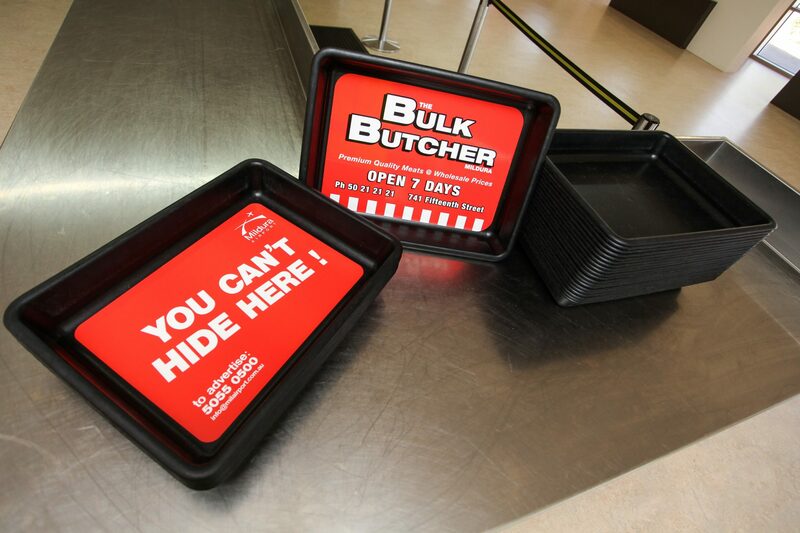 Advertising with the Mildura Airport would show large exposure for your business. With over 207,000 passengers a year arriving and departing from the Mildura Airport, It is a proven traffic area. On top of this, if you add the ‘Meeters a & Greeters”, it can add upto three or four people on average per passenger. This takes the total exposure rate to between 600,000 – 800,000 potential viewers of your advertising per annum! 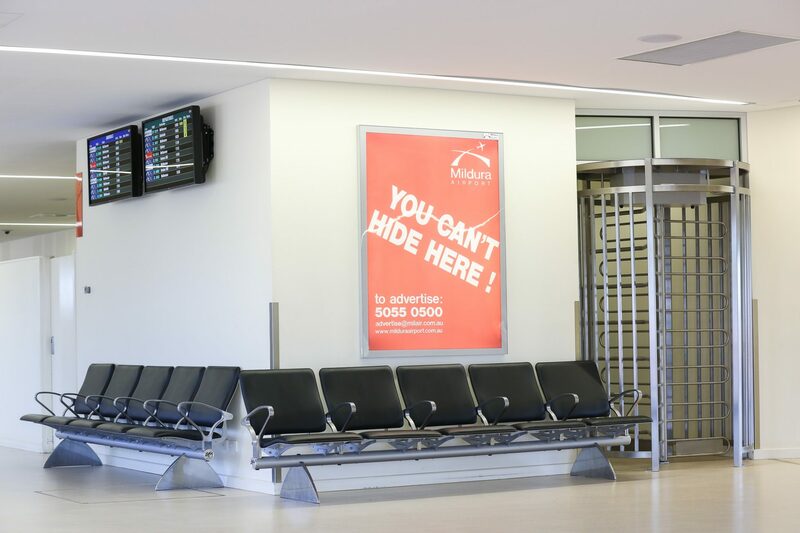 The airport provides an in house design service which will at an additional cost ensure you have a high quality production and design of your lightbox skin and or TV advertisements. Printing of the Lightbbox skin will be provided in the package at a rate of 1 skin per year! Would you like your business to look this good?